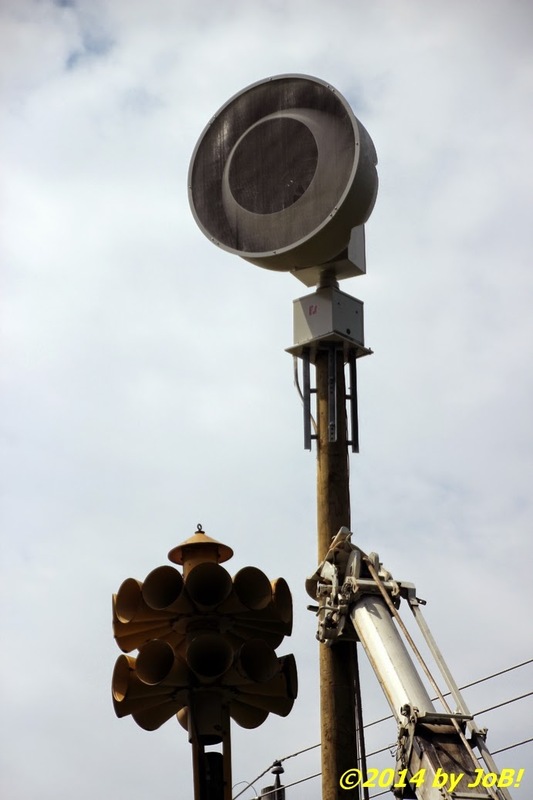 The new outdoor warning siren (right) will provide a louder alarm signal and greater range than its Cold War-era predecessor on the left. According to John Thomas, Fairborn's deputy fire chief and siren project manager, these latest additions and replacements will complete the planned upgrades for all of the city-owned systems (sirens on Wright State University's adjacent campus and in Bath Township areas are part of the overall notification network but are not funded or maintained by Fairborn). 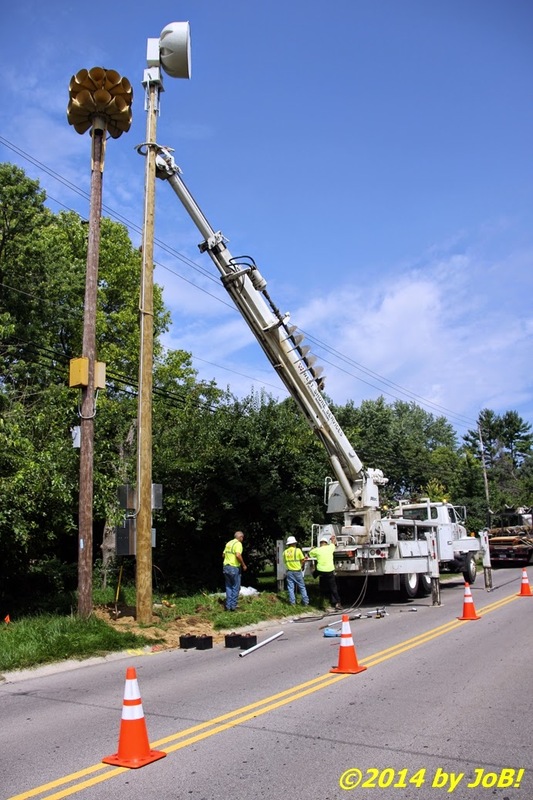 These purchases and installations were contracted through West Shore Services out of Allendale, Michigan and cost the city $98,000 for the pair. Once electrical power is supplied to those locations and the systems pass a "burp" test--an evaluation that can determine the functionality of the siren without activating the audible alarm, they will be brought on line and the former ones will be taken down. 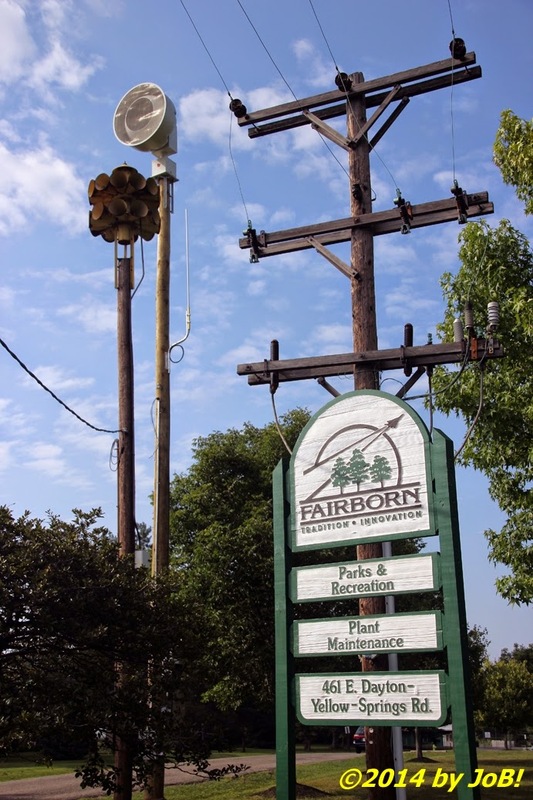 As a preventive maintenance measure, all Fairborn notification sirens are tested, weather permitting, the first Monday of every month at noon. 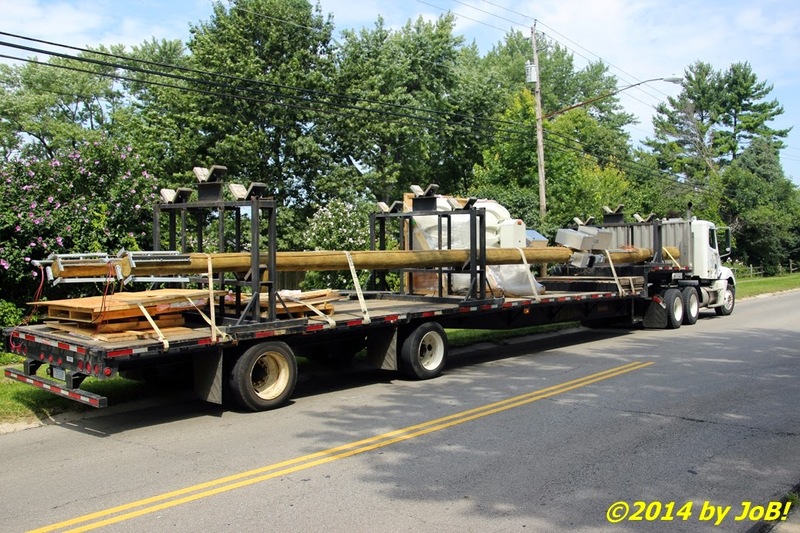 The second of two outdoor warning sirens, destined for installation at Fairborn, Ohio's Community Park East, awaits transportation to that location last Friday afternoon. While these new devices will improve citizen awareness of emergency situations, they should not be relied upon as the only source of receiving alerts. "These are outdoor warning systems," Thomas said, and are primarily intended to notify individuals who happen to be outside of a home, office building or fixed structure when they are activated. He implored that the sirens should be augmented by other warning devices such as a NOAA weather radio, local news broadcasts and cellphone notification applications at the first signs of inclement weather conditions to obtain as much information about the situation as possible. The second of two new outdoor warning sirens stands in Fairborn, Ohio's Community Park East after its installation last Friday afternoon. The antenna for the unit's radio-controlled activation system can be seen attached to the support pole.